Visual identity and website for Grayes, a Toronto-based women’s clothing company offering chic yet versatile office essentials. 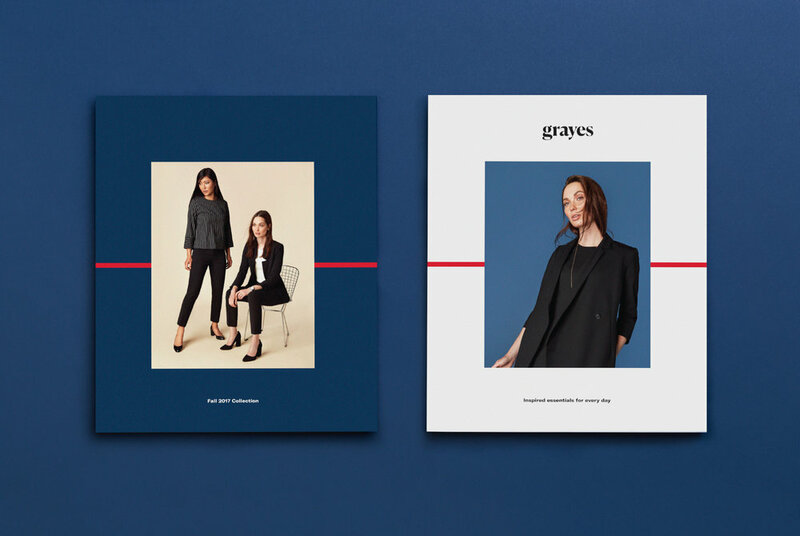 Design Direction for Grayes' visual identity and website—a women's clothing company offering chic and versatile office essentials. Based on the idea that the way you dress impacts the way you feel, Grayes is a thoughtfully designed line of locally made, mix-and-match, office-friendly essentials. Grayes' pieces provide ease (timeless yet functional pieces that become the building blocks of a wardrobe), quality, and evoke a sense of quiet confidence. Designed with these ethos in mind, the new visual identity is a fine balance, featuring bold yet refined typography, and a colour palette that complements the greyscale tones of the collection. A beautiful shade of blue-gray becomes our new neutral, with hints of red to reference Grayes' Canadian-made values. 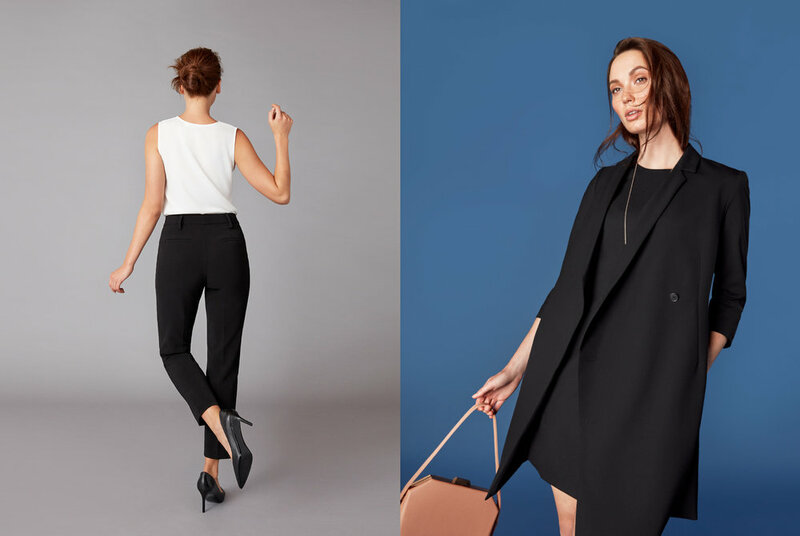 The new identity positions Grayes as an authentic, sophisticated lifestyle brand that helps women feel self-assured and comfortable—proud to wear the clothing and proud to be themselves.